This post is part of our ongoing series on running MongoDB on Kubernetes. 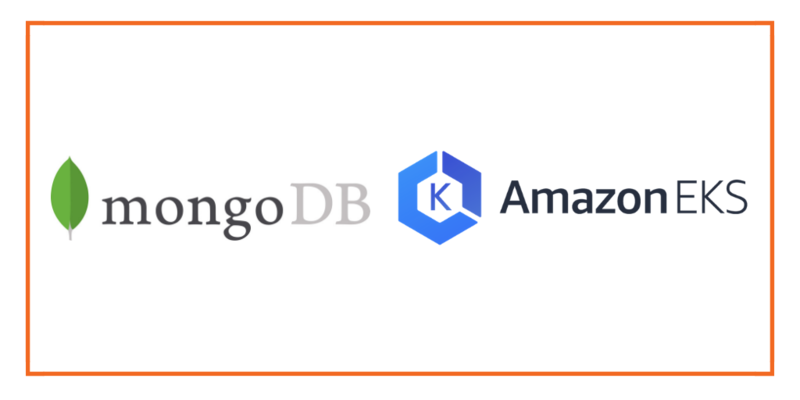 We’ve published a number of articles about running MongoDB on Kubernetes for specific platforms and for specific use cases. If you are looking for a specific Kubernetes platform, check out these related articles. Amazon EKS is a fully managed Kubernetes environment running in AWS. With Amazon EKS customers get a highly-available, secure Kubernetes control plane without needing to worry about provisioning, upgrades, or patching. Amazon EKS is certified by the Cloud Native Computing Foundation (CNCF) as Kubernetes conformant, which means it supports all existing plugins and tooling from the Kubernetes community, including Portworx. Portworx, an EKS launch partner, is a cloud native storage platform to run persistent workloads deployed on a variety of orchestration engines including Kubernetes. With Portworx, customers can manage the database of their choice on any infrastructure using any container scheduler. It provides a single data management layer for all stateful services, no matter where they run. This tutorial is a walk-through of the steps involved in deploying and managing a highly available MongoDB NoSQL database on Amazon EKS. Portworx cluster needs to be up and running on EKS before proceeding to the next step. 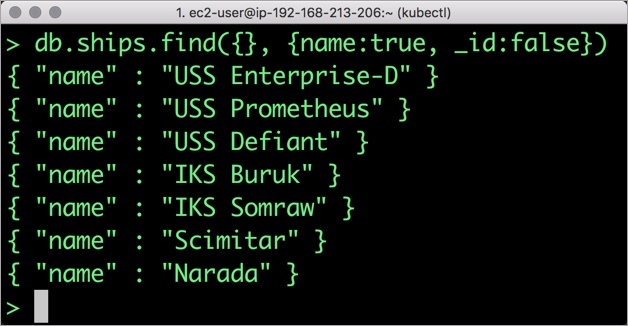 The kube-system namespace should have the Portoworx pods in running state. Once the EKS cluster is up and running, and Portworx is installed and configured, we will deploy a highly available MongoDB database. In this example, the storage class that we deploy has a replication factor of 3 with I/O profile set to “db,” and priority set to “high.” This means that the storage will be optimized for low latency database workloads like MongoDB and automatically placed on the highest performance storage available in the cluster. Notice that we also mention the filesystem, xfs in the storage class. Create the storage class and verify its available in the default namespace. We can now create a Persistent Volume Claim (PVC) based on the Storage Class. Thanks to dynamic provisioning, the claims will be created without explicitly provisioning a persistent volume (PV). Finally, let’s create a MongoDB instance as a Kubernetes deployment object. For simplicity’s sake, we will just be deploying a single Mongo pod. Because Portworx provides synchronous replication for High Availability, a single MongoDB instance might be the best deployment option for your MongoDB database. Portworx can also provide backing volumes for multi-node MongoDB replica sets. The choice is yours. The MongoDB deployment defined above is explicitly associated with the PVC, px-mongo-pvc created in the previous step. This deployment creates a single pod running MongoDB backed by Portworx. 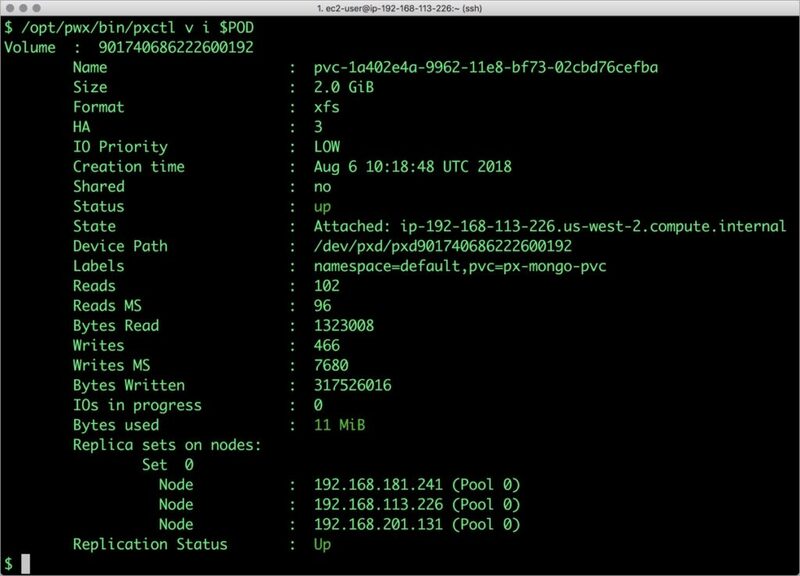 We can inspect the Portworx volume by accessing the pxctl tool running with the Mongo pod. The output from the above command confirms the creation of volumes that are backing MongoDB database instance. Let’s populate the database with some sample data. We will first find the pod that’s running MongoDB to access the shell. Now that we are inside the shell, we can populate a collection. Let’s run a few queries on the Mongo collection. Exit from the client shell to return to the host. Now, let’s simulate the node failure by cordoning off the node on which MongoDB is running. The above command disabled scheduling on one of the nodes. Now, let’s go ahead and delete the MongoDB pod. As soon as the pod is deleted, it is relocated to the node with the replicated data, even when that node is in a different Availability Zone. STorage ORchestrator for Kubernetes (STORK), a Portworx-contributed open source storage scheduler, ensures that the pod is rescheduled on the exact node where the data is stored. Let’s verify this by running the below command. We will notice that a new pod has been created and scheduled in a different node. Let’s uncordon the node to bring it back to action. Finally, let’s verify that the data is still available. Let’s find the pod name and run the ‘exec’ command, and then access the Mongo shell. We will query the collection to verify that the data is intact. Observe that the collection is still there and all the content is intact! Exit from the client shell to return to the host. After testing end-to-end failover of the database, let’s perform StorageOps for MongoDB on our EKS cluster. Currently the Portworx volume that we created at the beginning is of 1Gib size. We will now expand it to double the storage capacity. First, let’s get the volume name and inspect it through the pxctl tool. If you have access, SSH into one of the nodes and run the following command. Notice the current Portworx volume. It is 1GiB. Let’s expand it to 2GiB. Check the new volume size. Portworx supports creating snapshots for Kubernetes PVCs. Let’s create a snapshot for the PVC we created for MongoDB. Verify the creation of volume snapshot. With the snapshot in place, let’s go ahead and delete the database. Since snapshots are just like volumes, we can use it to start a new instance of MongoDB. Let’s create a new instance of MongoDB by restoring the snapshot data. 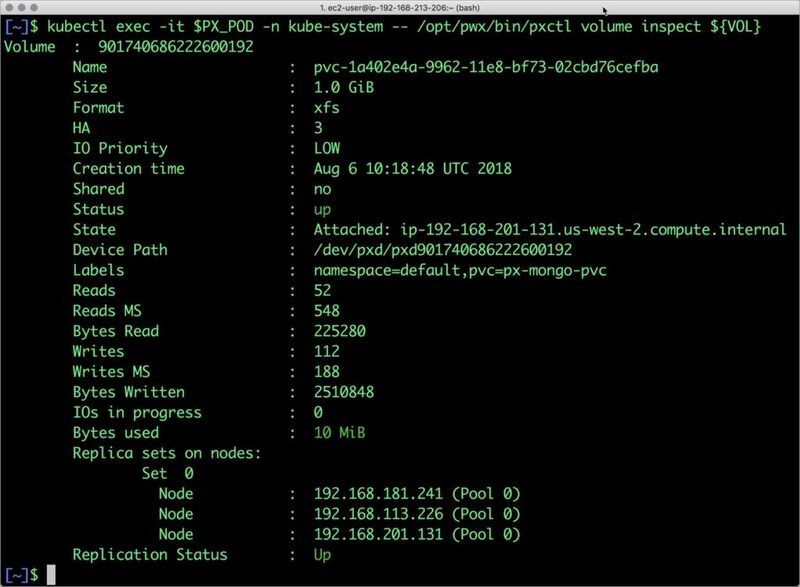 From the new PVC, we will create a MongoDB pod. Verify that the new pod is in running state. Finally, let’s access the sample data created earlier in the walkthrough. Notice that the collection is still there with the data intact. We can also push the snapshot to Amazon S3 if we want to create a Disaster Recovery backup in another Amazon region. Portworx snapshots also work with any S3 compatible object storage, so the backup can go to a different cloud or even an on-premises data center. Portworx can easily be deployed on Amazon EKS to run stateful workloads in production. Through the integration of STORK, DevOps and StorageOps teams can seamlessly run highly-available database clusters in EKS. They can perform traditional operations such as volume expansion, snapshots, backup and recovery for the cloud-native applications.